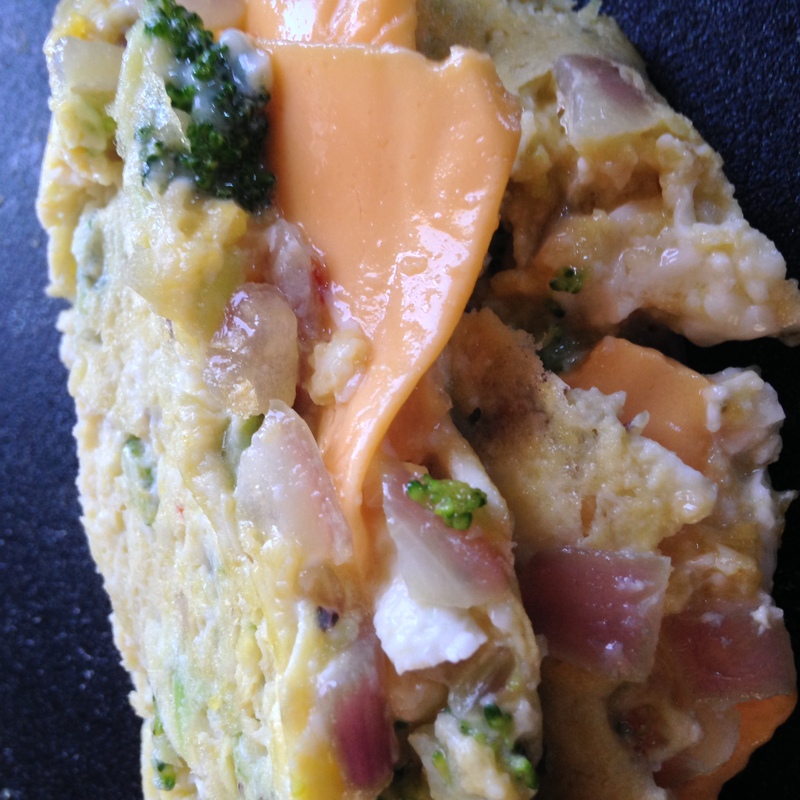 Include broccoli in your omelet. Little florets with lots of cheese makes a yummy veggie omelet breakfast. I like steamed broccoli. The best way to cook broccoli is boil it in water for five minutes, turn off the burner, cover the pot, and let it set for 20 minutes. You get tender broccoli that isn’t overcooked to mush. The last time I made an omelet with broccoli, I just added small florets with the eggs. It tasted awful. Too crunchy for me. Crunchy broccoli is great if eating it raw, dipped in ranch dressing. This time, however, I steamed broccoli the best way as described above. Then I added small tender florets to my omelet. It was perfect. Have you ever baked omelets? 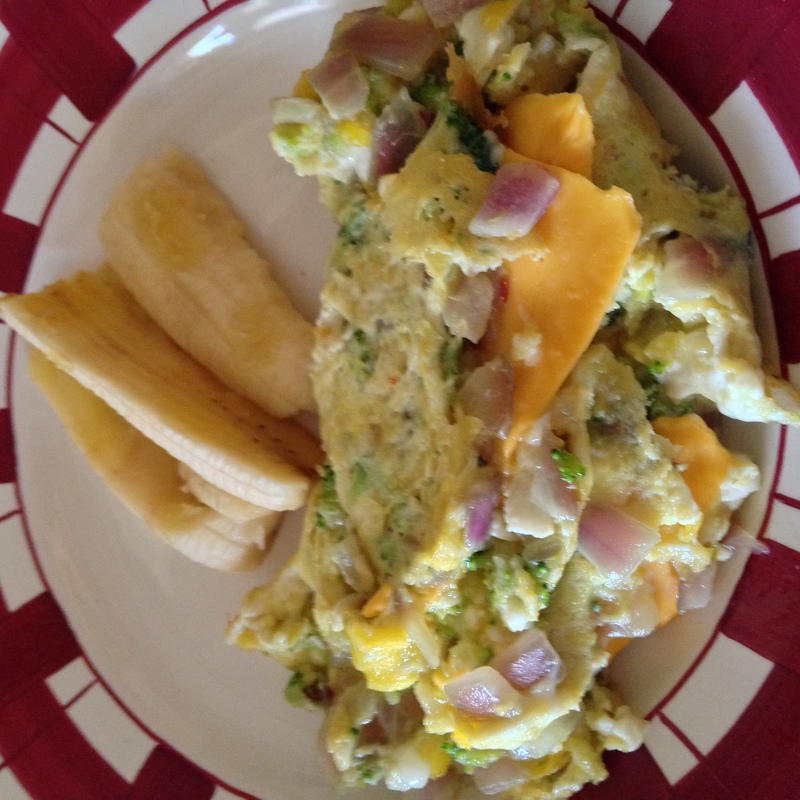 Try this recipe from Ramona’s Cuisine for a baked broccoli, cheese, and pepper omelet. I haven’t made it yet, but it’s definitely on my breakfast-to-make priorities. I included an on-the-spur-of-the-moment fruit decision to my breakfast – fried banana! It was different but tasty. 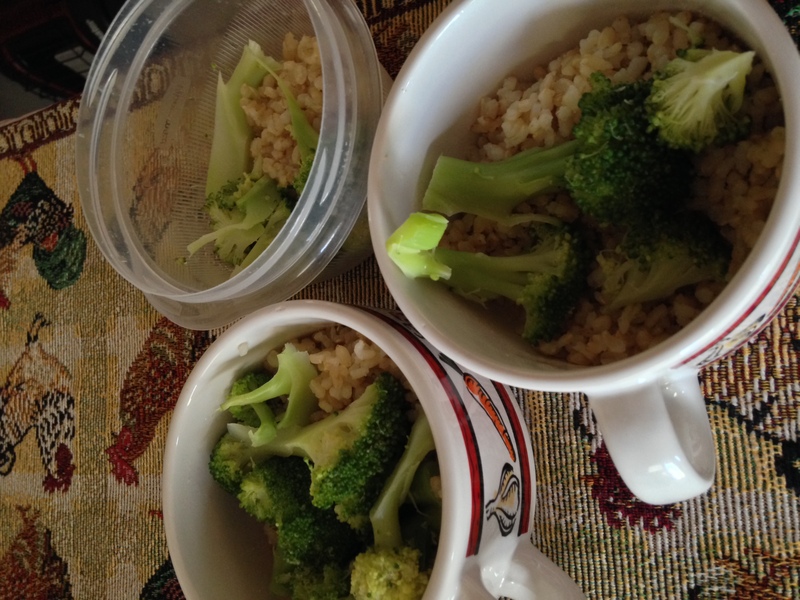 I had plenty of leftover steamed broccoli, and I cooked brown rice and had enough for three more snacks or lunches. 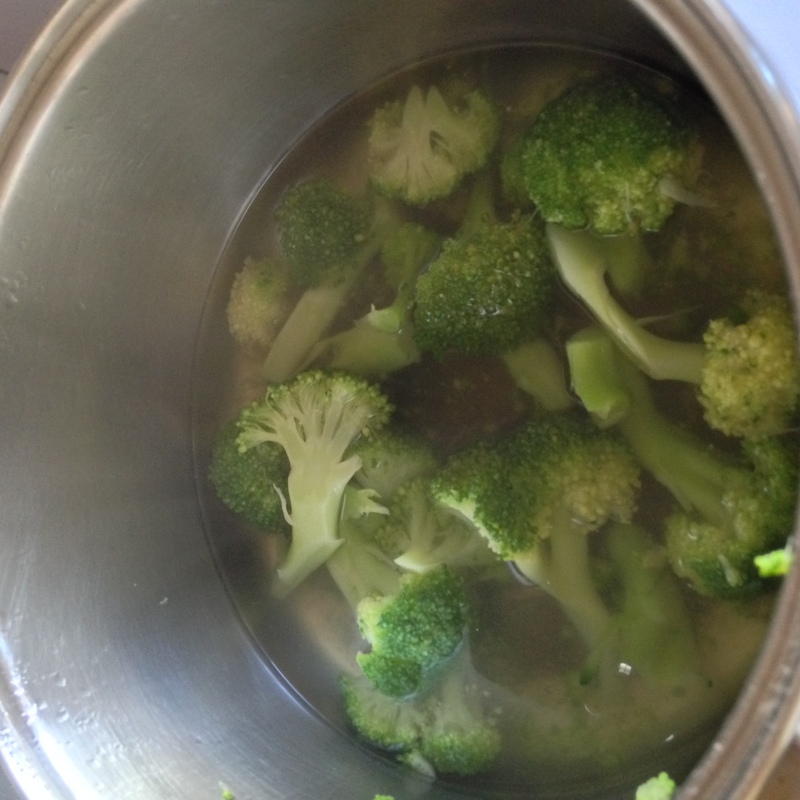 Boil broccoli for five minutes. Turn burner off, and cover pot. Let broccoli set for 15-20 minutes. Chop onion, and saute in seasoning in a tablespoon of coconut oil on a griddle. Add a couple of spoonfuls of broccoli florets with onion and stir. Add two eggs. 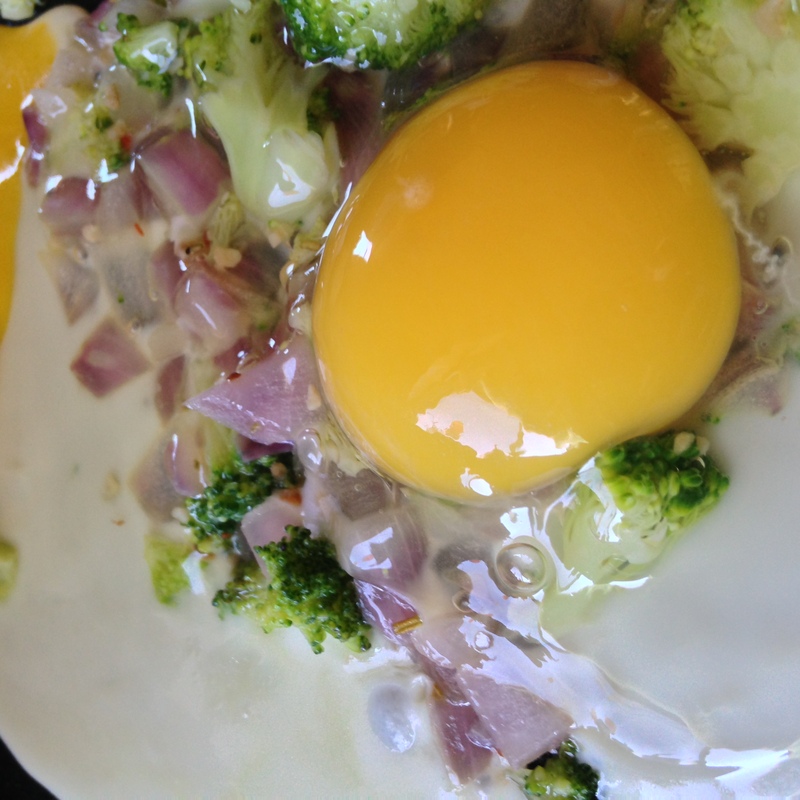 Scramble eggs with the onion and broccoli and let set about 15 seconds. Add cheese slice on top. Fold over one side of eggs, the fold over the other side. Voila! Your broccoli omelet is ready to eat. If you like green veggies with your breakfast, try Daiya Cheese & Spinach Omelet. Actually, the spinach omelet is my favorite of all veggie ones. What is your go-to choice for omelets? Let me know, and I’ll try yours out. I like to blanch the broccoli and then chop it up and sautee it with onions before putting it into the omelette. Yes, the broccoli is much more tender that way.